If given the choice between a new 4K TV with a handful of 4K titles to watch or access to an Australian version of Netflix which offered a vast choice of films and TV shows to watch at SD or 1080p HD the majority of Australians would choose the option of more content instead of higher resolution. A handful of films being shown at Australian cinemas this year are 4K, with more in the pipeline and some existing films are being remastered as 4K. There are only about 200 cinema projectors in Australia which can show films in 4K, the majority of projectors are 2K so regardless of whether a film is made, post produced in 4K it won’t be shown that way to most cinema goers. Replacing perfectly good 2K projectors with 4K ones is very expensive so it is unlikely that cinema chains will do so quickly. There will be no clear standard for selling 4K content at retailers for at least a year because the highest resolution existing disc standard for Bluray cannot store a full 4K film and there’s no way to make discs storing true 4K video backwards-compatible with current 1080p BD players in living rooms across the country. 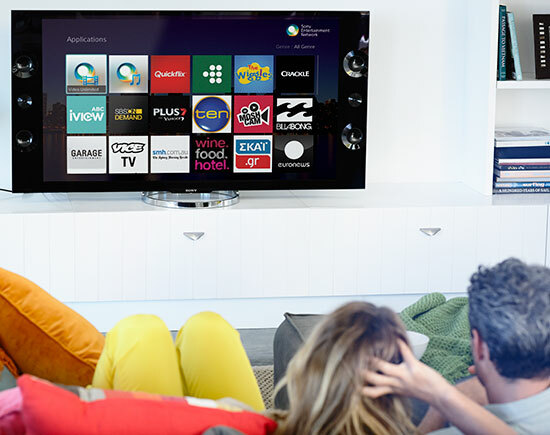 Moving the focus to Australian free to air and cable TV much of what they broadcast is compressed standard definition (SD) or barely HD 720P, so we don’t expect to see them broadcasting any 4K TV for years, if at all. Sony arranged a screenings of the film After Earth recently for Australian technology media in order to showcase 4K technology. The film was shot with a Sony F65 4K camera, post produced largely in 4K and delivered to cinemas in 4K. One of the key lines is that “everything has evolved to kill humans” on the planet that the film’s two key characters (played by Will Smith and his son Jaden Smith) have crash landed on. This makes no sense because humans haven’t been on the planet for many years so how could all the animals evolved to kill them, in their absence!? Leaving that plot hole aside it would be better for audiences if the planet’s animals had killed them off within the first 15 minutes or so because the movie is terrible. Critics have panned it for “wooden dialogue”, “abysmal acting” and only 11% gave it a positive rating. This goes to show that it doesn’t matter how high resolution a film’s video quality is, a bad film is still a bad film. I would have much rather watched streaming video content via the ABC’s popular iView service at home instead. In my opinion as well as the New York Times, Economist and CNET, 4K TV’s being marketed for home use are a solution looking for a problem that doesn’t exist. Don’t waste your money buying one. Previous PostPrevious Sydney OPAL Public Transport Smartcard Gem or Dud?